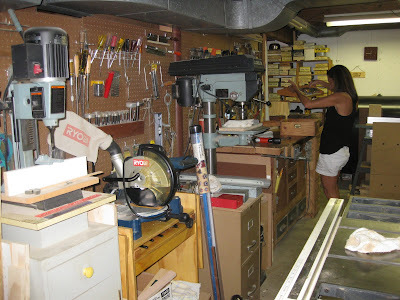 In our house full of growing girls, all voices and drama and thundering footsteps, Dad carved out a space for his workshop. It was in the basement, just beneath the kitchen. It was quite a place, Dad's workshop. It smelled of Dad, the essence of sawdust and repair. Its soundtrack was the whistle or rift of whatever song had last stuck with him, there was always a tune seeping out of his memory. 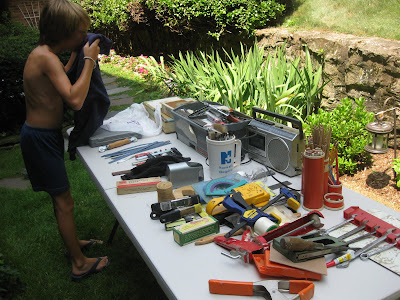 This was no rinky dink operation - Dad was a pro who had amassed an impressive, professional grade collection of tools and machinery over the course of countless Father's Days, birthdays, and Christmas gifts. I recently came across a resume he had handwritten to be considered for a board position he sought; under skills he had written: "avid, advanced woodworking." (He was voted President of that board). 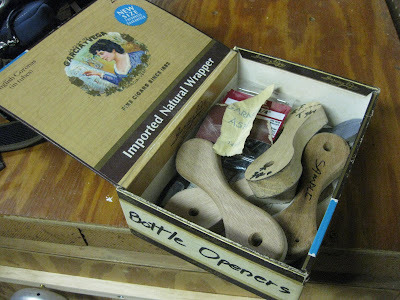 When Mom and Dad downsized in later years, the workshop was relocated to another basement beneath another kitchen. 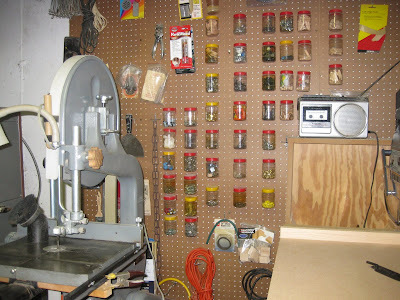 In his retirement, Dad was glad to have the space in a friend's basement for his beloved workshop. One of the many wrenching tasks we've had to face in the surreal aftermath of Dad's unexpected death was to visit his workshop. 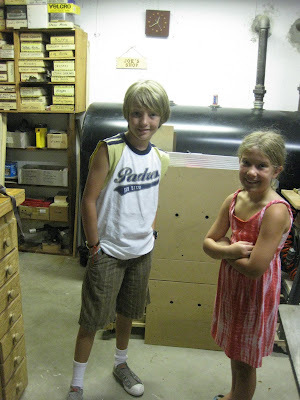 After looking at the options for a container to hold our Dad's ashes, my sister Julie and I stopped in one afternoon to see if there was anything he had made that could be employed. Walking in, we were immediately engulfed by that familiar smell. One of my kids said: "It smells like Home Depot! ", but to us, it was the smell of Dad. Maybe that's why I so love walking into Home Depot. 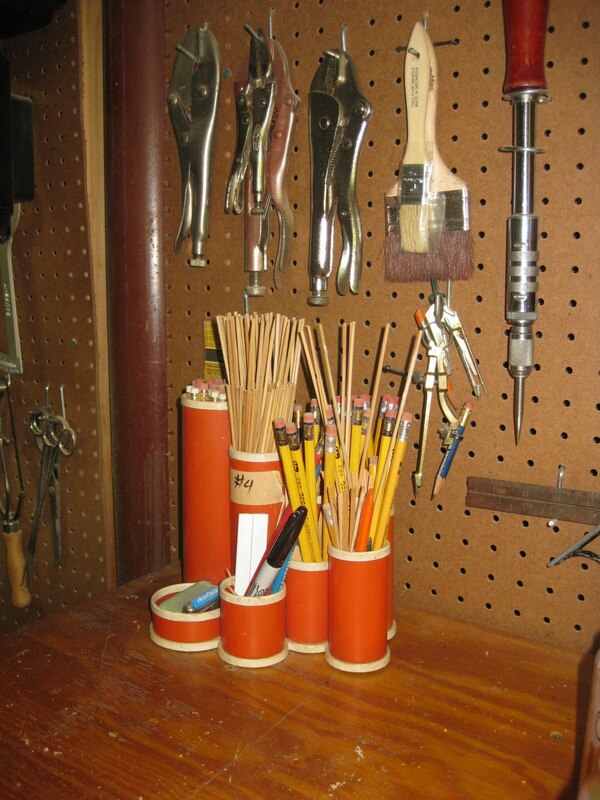 There were certain small things that just made my heart hurt so badly, like that ratchet screwdriver thing, and the orange plastic graduated pencil cups. 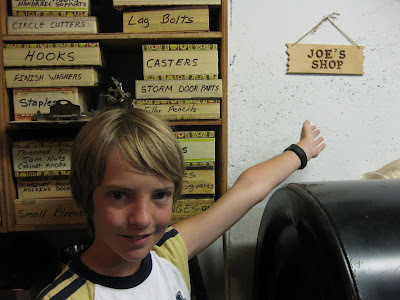 We didn't find anything suitable for the honorable duty of holding Dad's ashes, but we knew that the workshop was a place we'd need to revisit together before this terrible time had passed, to gather memories and mementos. We did just that a few days after the funeral. Dad's girls gathered at the workshop to find things that we wanted or needed. We'd been warned that this task could be treacherous, that even the closest families could sometimes face trouble when dealing with the distribution of valueable assets. We started with a system, but it soon became clear that we didn't need one. Every one of us walked around that sacred space, touching and peering and holding the things that our Dad's hands had so carefully set in place. Someone would start to ask: "Can I have this..." and the others would reply in unison: "Yes." We all came away with some things that we wanted. Some things that we hoped would fit into the giant hole that Dad's death has left in our hearts. I took a bunch of stuff, including the ratchet, an old radio, a staple gun, and the orange pencil cups. Almost as an afterthought, I grabbed his painting sweatshirt. Ugly, polyester, old, and spattered. It smells like the workshop. Aw Jacquie. One day - one day - I'd like not to have to cry in my coffee. 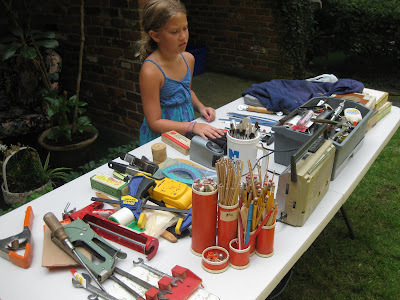 And I love that we all felt Dad's tape measure (MB)was as valuable as his compound mitre saw (Jane), and his saws-all (blessedly, me) was on the same level as that iconic orange plastic graduated pencil holder. With white piping. Beautiful Jacquie - hope you are hanging in there. We miss you! Good move taking the sweatshirt. I still have my dad's 2 sport coats hanging in my closet -- 22 years later! Looking foward to seeing you soon. What a sweet story, J. I love all of the things you took with you. 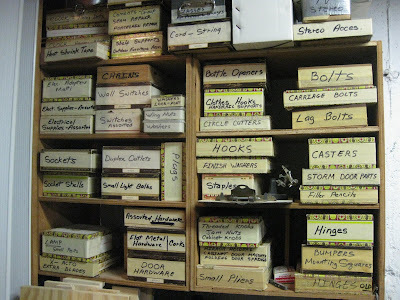 Your pops was a very organized man, and I am impressed. Love ya and can't wait to see ya. oh how you make my heart ache..you bring me right back to my nother's death and the monumental day when my sisters and I did the same thing. There Was A Bride . . .